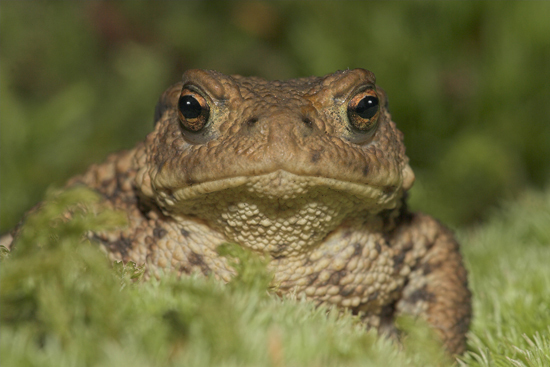 Home | Reptiles & Amphibians | Toad in moss. Close up of a toad in the garden in Chirnside,Scottish Borders. Canon 1D Mk11N camera,180mm lens,1/250 f16 and flash.